Crete is the largest of the Greek Islands and was the home of the great Minoan civilisation between 3,000 and 1450 BC. The Palace of Knossos and its artefacts demonstrate the great sophistication of this society. They were a great maritime nation achieving commercial rather than military power; their trade was in luxury goods, such as ivory, fine pottery and golden jewellery. The island came under Roman, Byzantine and Ottoman rule before reunion with Greece at the beginning of the 20th century. Nevertheless, there was one period after the Crusades (1204 – 1669), when the island flourished under Venetian rule and was renowned for its mediaeval painting, pottery and drama. There was German occupation during the Second World War and this was associated with heavy allied losses. Crete has a varied and often rugged terrain, fertile plains alternating with pinnacled white mountains and wild gorges. The Samaria Gorge is renowned for its challenging 1l kilometre descent: congratulations to the small BAFCO band who successfully negotiated this challenge. Thanos Giannoukas was our host and hero, and our visit was linked with a medical meeting in the luxury of the Elounda Beech Hotel. However, this did mean that we had to listen to extensive speeches before launching into our last concert. 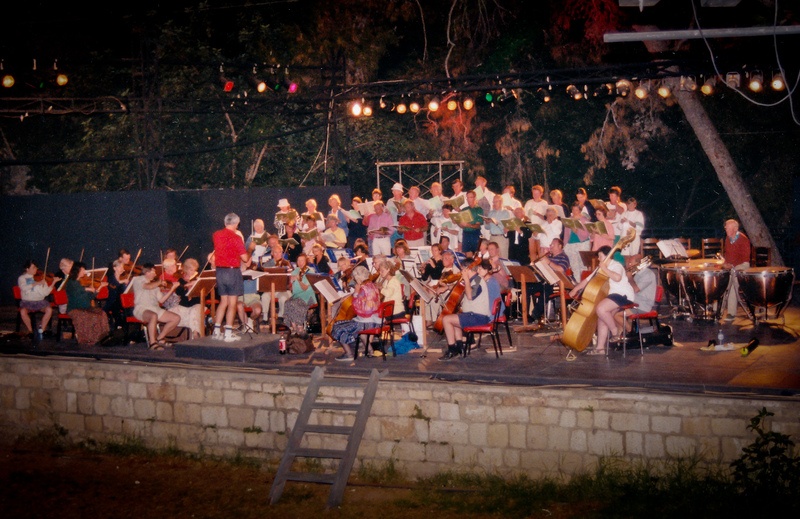 The first two concerts were memorable for their outdoor settings in Rethimnon and Heraklion – enormously enjoyable, even if acoustically challenging. In Crete we again confirmed BAFCO adapts well to the combination of sun and sea.